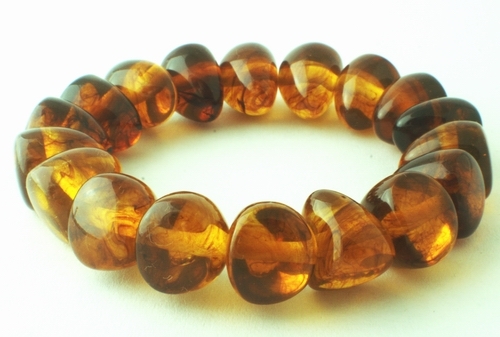 Sorry, we are currently sold out of 'Chunky Deep Amber Nugget Bracelet'. Please check back later. This beautiful bracelet looks a million dollars! Measures 2 3/4-inches with 15mm x 13mm reconstituted amber nuggets. Expands to fit all.